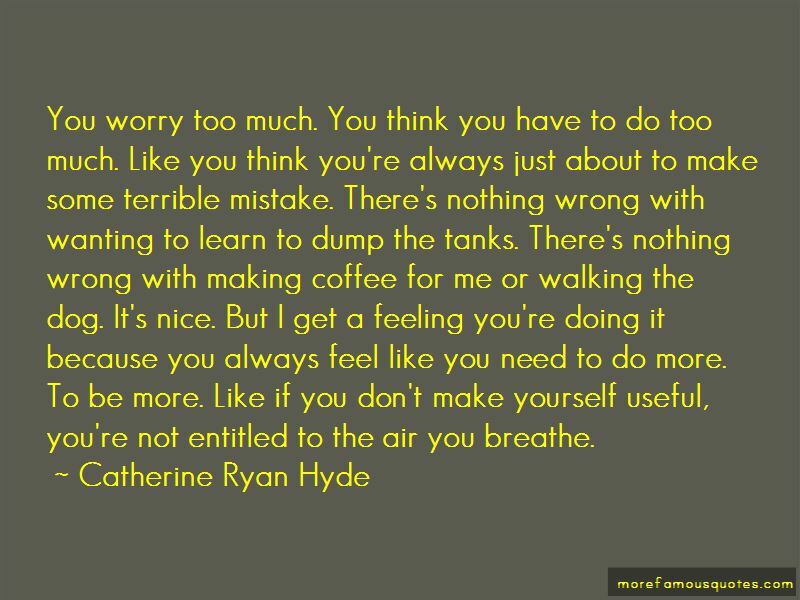 Enjoy the top 159 famous quotes, sayings and quotations by Catherine Ryan Hyde. Things are so easy to do, so hard to undo. It's just words. How can words be dangerous?" "You have a lot to learn about the world, baby girl. Nothing is more dangerous than words." "That's stupid. What about a gun? A gun can kill you dead." "Only your body," Billy said. "It can't kill your soul. Words can kill your soul. Hard work can sometimes substitute for natural ability, but natural ability almost never makes up for not being willing to do the work. They just want to kill the pain. Everybody just wants to kill the pain. Look for strength in unexpected places. I felt the kiss still there on my forehead. Literally. It was frozen there. I could still feel it. I wanted to bronze it, like people do with baby shoes. I wanted to mount it and hang it over my mantelpiece. I learned a valuable lesson from that editorial experience, and it's served me well in just about every dealing I've had with editors since. If they say there's a problem, they're probably right. Believe them. 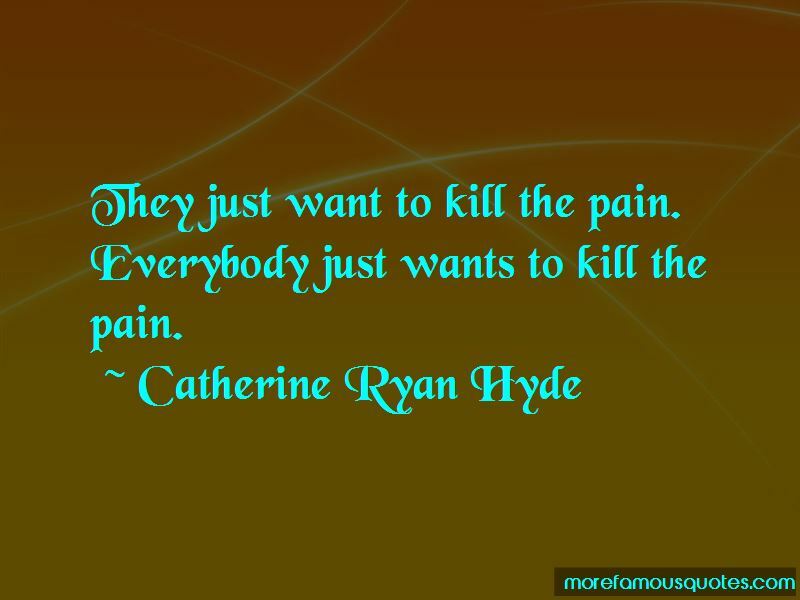 Want to see more pictures of Catherine Ryan Hyde quotes? 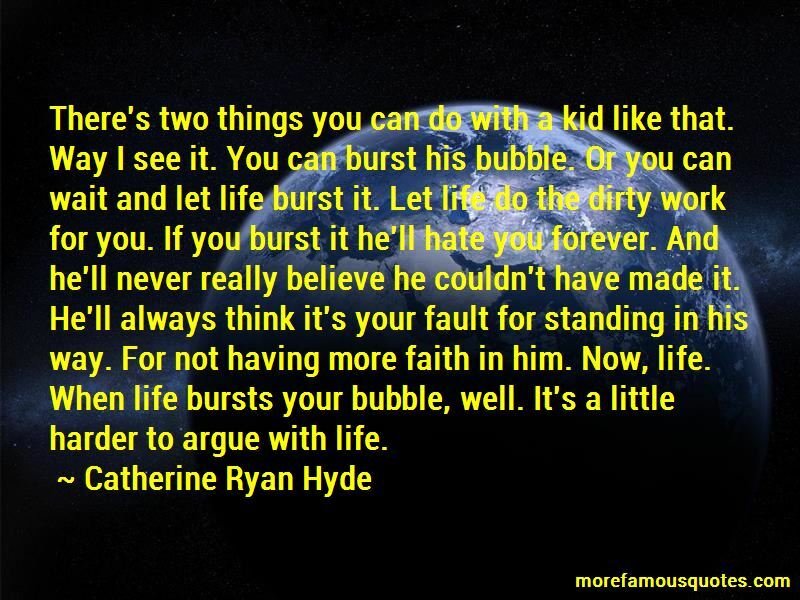 Click on image of Catherine Ryan Hyde quotes to view full size.